When you are holidaying in New Zealand, it is a great idea to spend some time in Queensland. As Queensland is located in the lower South Island, you can consider exploring the region along with some of the other popular tourist destinations in South Island. You can further make the holiday different through a variety of exciting activities like bungee jumping, water rafting, jet boat riding, and wine tasting, snowboarding and skiing. However, it is always a great idea to decide the things to do and places to see in Queenstown according to the time of your visit. You must understand the seasons and weather conditions to prepare properly for the trip. In New Zealand, December to February is summer, March to May is autumn, June to August is winter, and September to November is spring. Queenstown remains moderately hot during summer and colder during winter season. However, you must remember that weather in New Zealand tend to change unexpectedly. So your outdoor activities can be affected due the sudden change in weather. While planning your holiday, you must know the season in New Zealand. It will make it easier for you to decide the clothes and items necessary for the road trip. Also, you need to decide if you need to hire a campervan with specific facilities to make your trip more pleasant and hassle-free. But you have option to hire the comfortable, well-designed and fully-equipped campervans provided by Camperco to explore the region comfortably during different seasons and weather conditions. 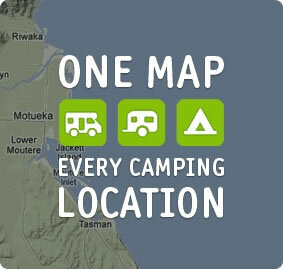 The campervan Queenstown hire company further provides free insurance, unlimited limes and 24 hours roadside assistance. As the campervan includes the items and facilities required to explore Queenstown without any hassle, it becomes easier for you to explore the picturesque sceneries and tourist destinations, while participating in several exciting activities.